Your pets love to spend time outside in the yard, but your garden might not be the friendliest place for them to explore. There are hazards in those gardens, such as poisonous and thorny plants, deep-water areas and a garden that’s sprayed in pesticides. From flowers to veggies to mulch, here’s what you need to know to create a beautiful, pet-friendly garden. First, Bush advises owners to get down and look at everything from a dog's point of view: are fences high enough to keep him in? Are the plants safe if he should nibble on one? “If you have a pond, will he be able to easily get out if he ventures in - or should you fence it off or lose it altogether?” she said. 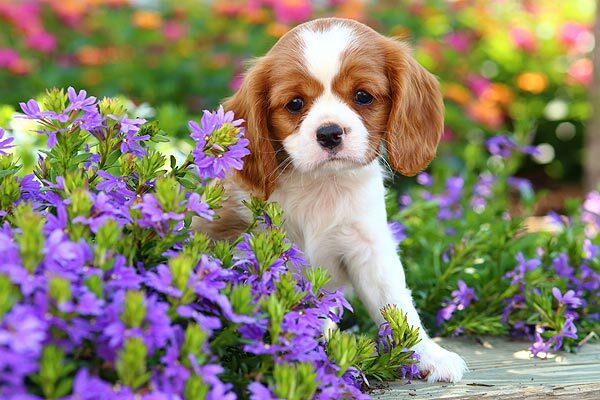 Other plants that can be dangerous to your fur babies include grape and avocado. “If you like to grow veggies, it is best to either grow them out of his reach (cherry tomatoes and strawberries can do well in hanging baskets for example) or in an area securely fenced off,” Bush says. Fornari also says that another way to prevent your pets from chewing in your garden is to give them something that keeps them busy. “Inside, we give dogs rawhide bones so they have something to chew on other than the furniture,” she says. “Outside, it should be the same. Encourage a dog to chew on something safe and you take its boredom away. Finally, if you already have a garden filled with plants that are dangerous to your pets, consider building an enclosure for the plants to keep the animals from getting inside.